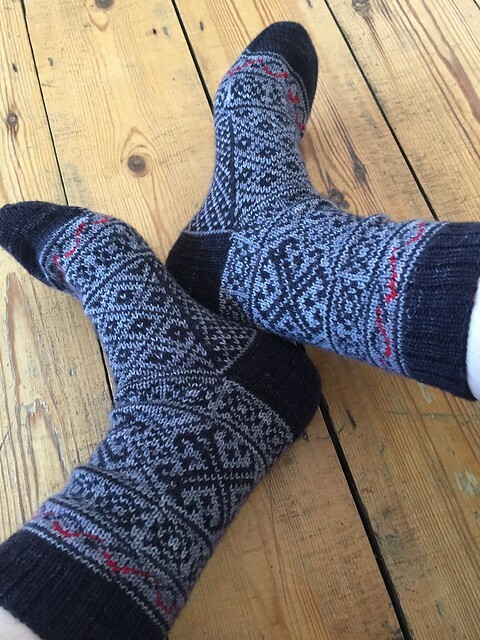 In anticipation of the pattern launch in the next two weeks (IT’S COMING GUYS, I ACTUALLY CAN’T WAIT) I thought it was about time that I shared some pics and thoughts about a pair of socks which genuinely would not let me sleep. 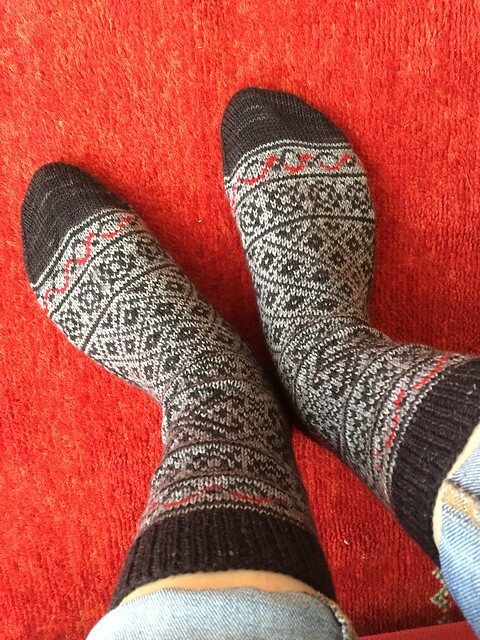 These socks were inspired by colour, which I know sounds kind of weird given that I’ve chosen a monochromatic colourscheme (mostly), but when I had that leftover charcoal and red from my Travelknitter sample knits, I just couldn’t stop thinking about how a shades of grey colourwork sock with little pops of red would. be. awesome. 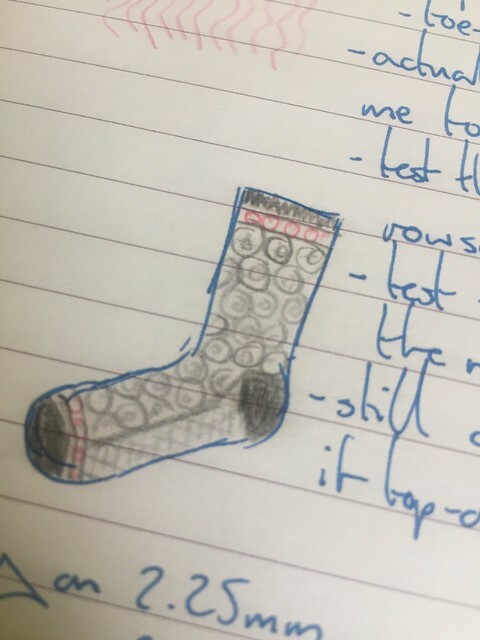 Here’s the tiny sock doodle I first sketched while on quite a dull conference call (nb: if you’re one of my clients reading – it wasn’t you! honestly!). From this exceedingly modest start I began playing around with colourwork patterns more seriously (using nothing more fancy than Excel). I spent a good few days messing about with this version and that version; I had the feel in my mind but pinning it down in pattern form was fiddly. 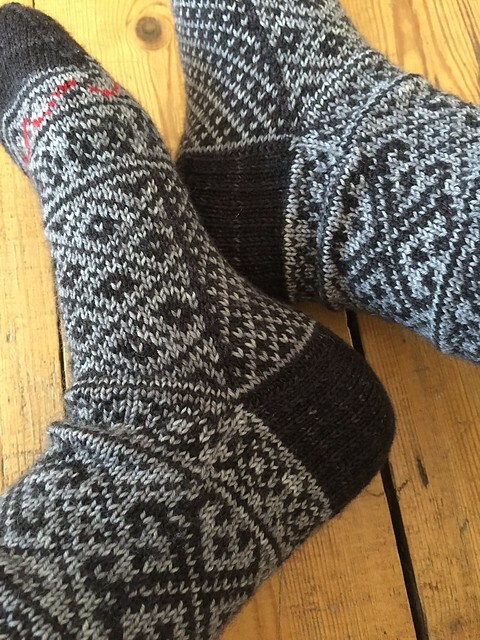 I knew, though, that I wanted a full colourwork sock with bands of pattern around the leg and the toe. 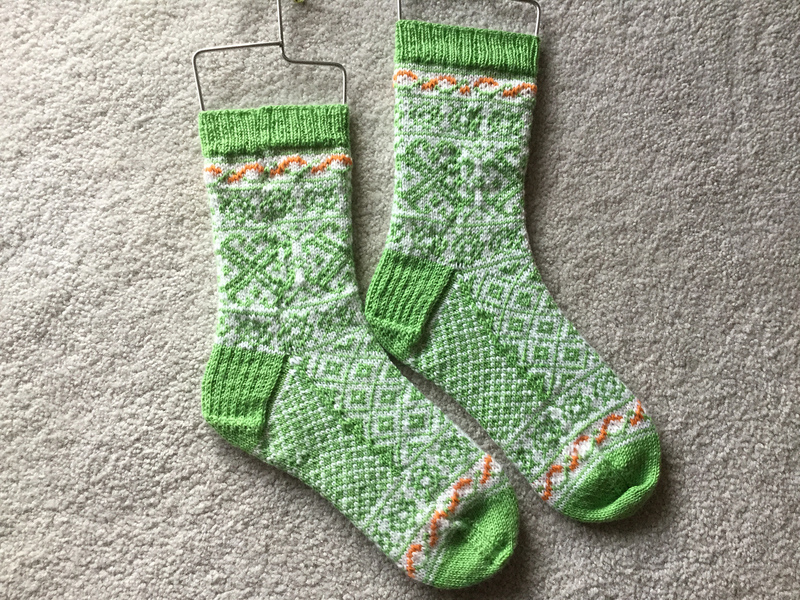 You saw me getting my sample pair right (eventually) – and, after a lot of knitting, unknitting and knitting again, I was really proud of the result! 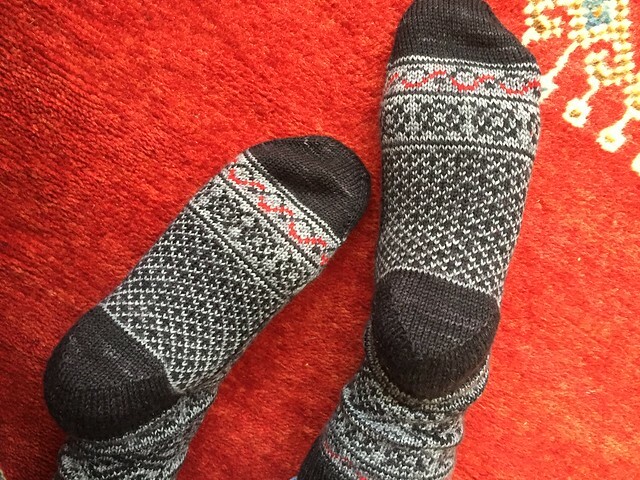 I then discovered the fun challenge of a repeating pattern which can be scaled up or down for different size socks. There was a bit of swearing and a lot of charting, but I got there and my amazing testers have been diligently stress-testing the pattern across all three sizes. PATTERN IS LAUNCHED! Ahhhhh too, too excited! 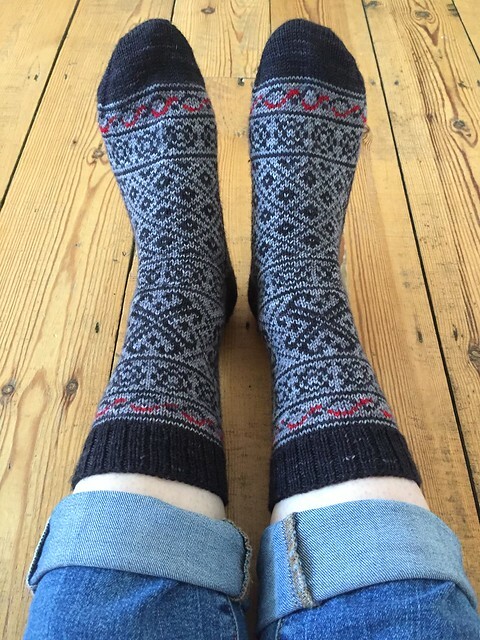 Next Post Retro Dream socks – pattern launch! Wow! You just keep outdoing yourself 🙂 These are totally gorgeous and I love the different color variations. It would be a lot of fun picking out colors. Thanks Paula! Yeah the colour combos makes such a difference, I’m really enjoying seeing what people choose. A-ma-zing. It’s fun to think of all of the fun, color combinations. Thank you! 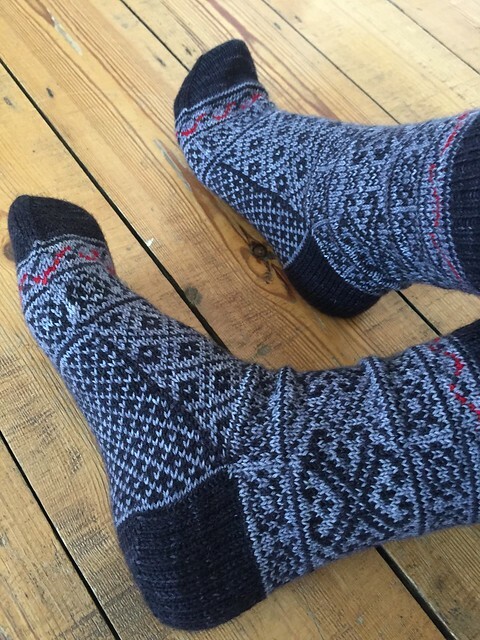 I know, I can’t stop thinking about it (all my testers have finished now and all their socks are beautiful).